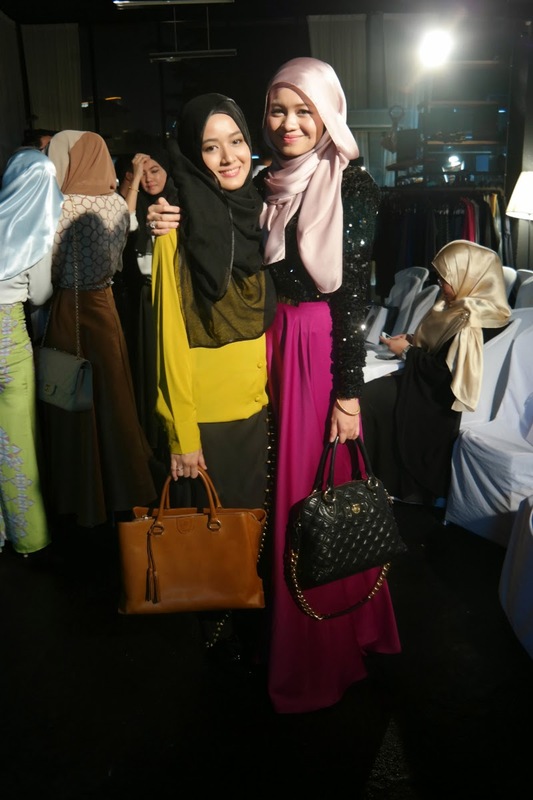 I was from a meeting in Publika just before that and my sister-in-law Syahira Zakaria dropped Dian Farhana and me at the event. We were early. They had drinks and food outside so we took a few bites and took a few photos with friends while we waited to go in. It was really lovely of Rico Rinaldi to give both Dian and me really good seats as we found out that it was not really a wholly seated event. Thank you Rico! With the beautiful Shea Rasol. 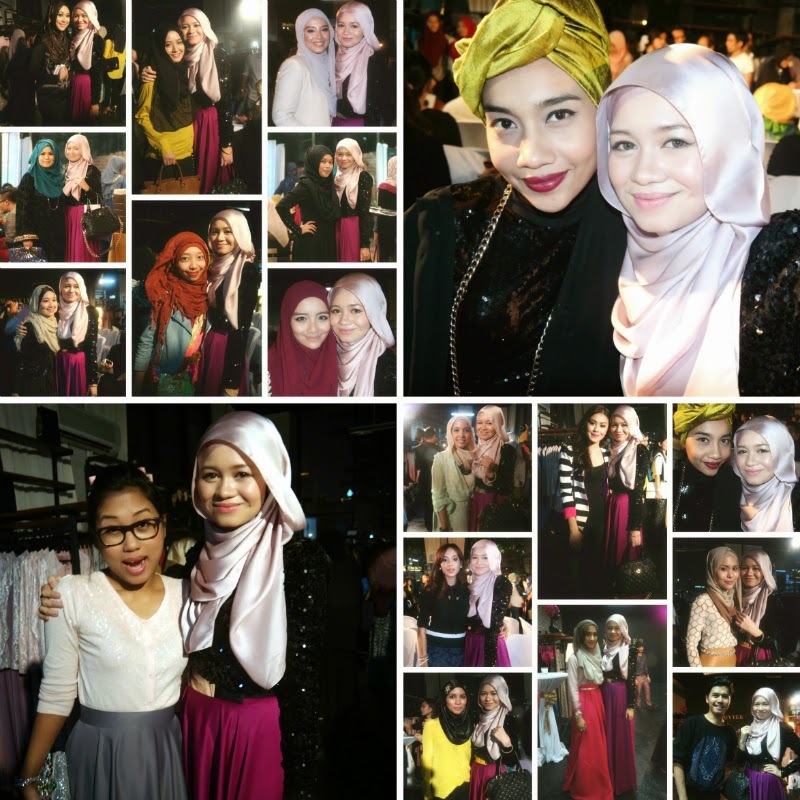 With Dayah Bakar the host of the night, Jezmine Blossom, Zafirah Hanis, Yaya Zahir and Shea Rasol. My date for the night, Dian Farhana. 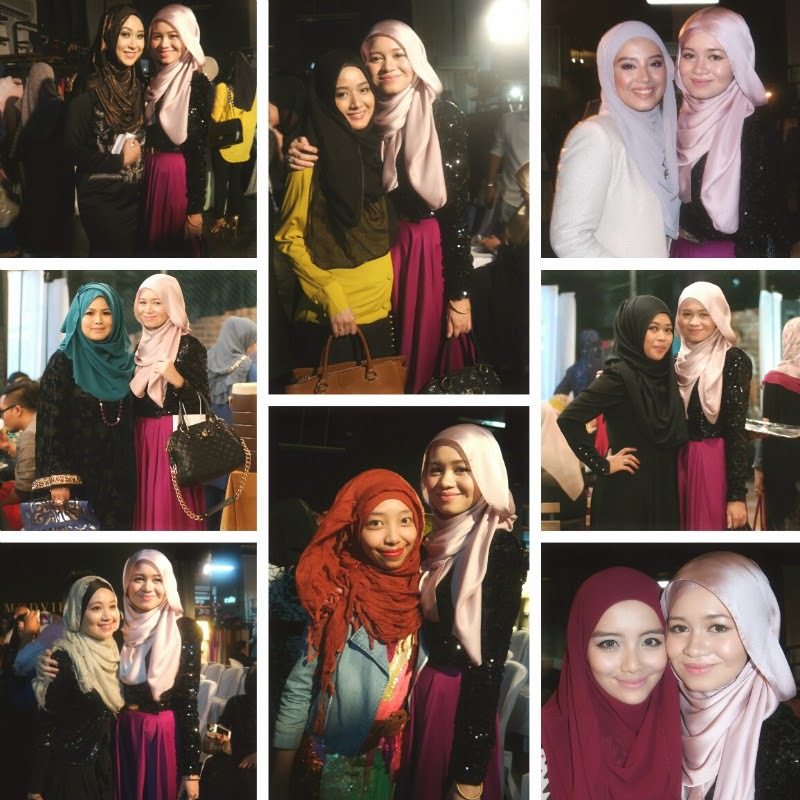 With Shea, Zafirah, Atiyah Saadon and Sarah Shah Nor the founder of Modvier in the middle. Alyah sang a cover version of 'Set Fire to the Rain' by Adele. Love this creation by Rico Rinaldi! 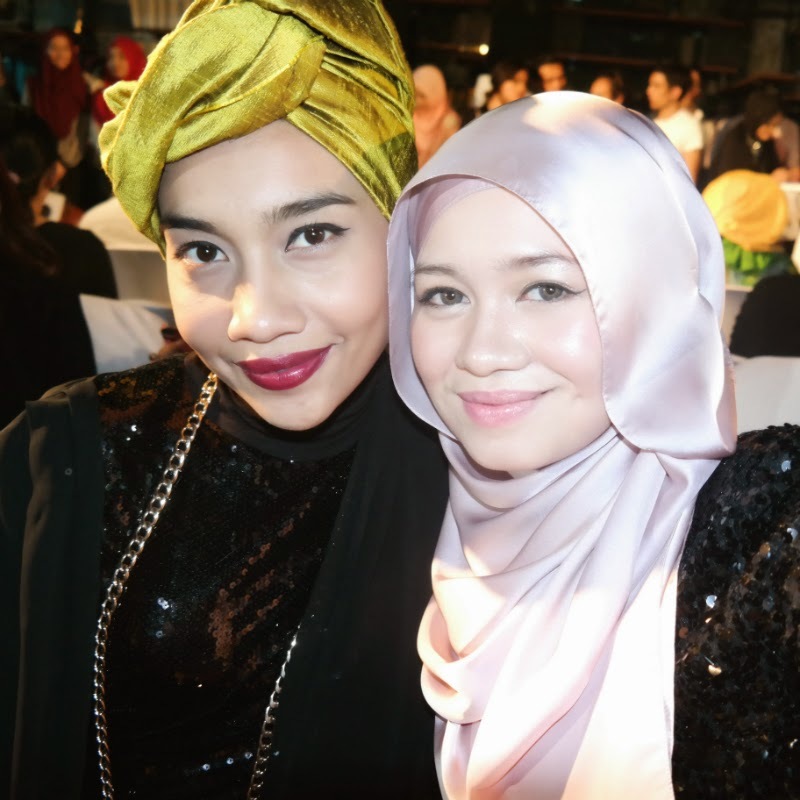 With the talented Yuna Zarai who sat in front of Dian throughout the event. Stole this picture just before the fashion show started hehe. Hey, it is not easy to meet her especially because she's been staying in New York. her seat with her when she saw her standing. 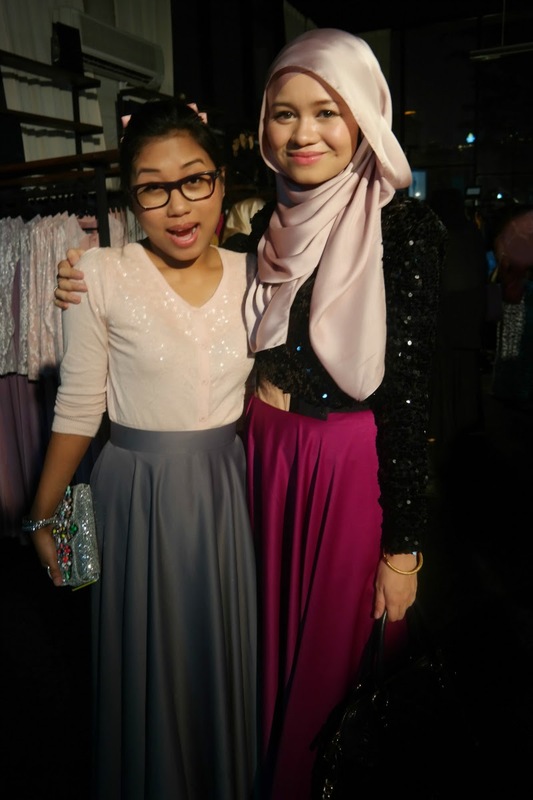 Farah Lee, we first met at Saturday with Lovely People and Bazaar by NWW last year. Her booth was next to mine. Love her studded skirt. 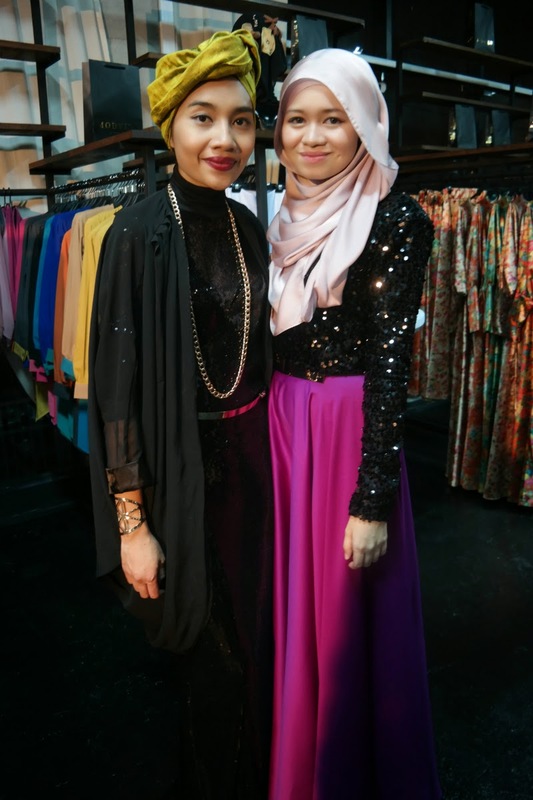 The bubbly and friendly host Dayah Bakar. With Nursuziana Zulkifli, Mira Filzah and Fazrena Aziz. With talented individuals. 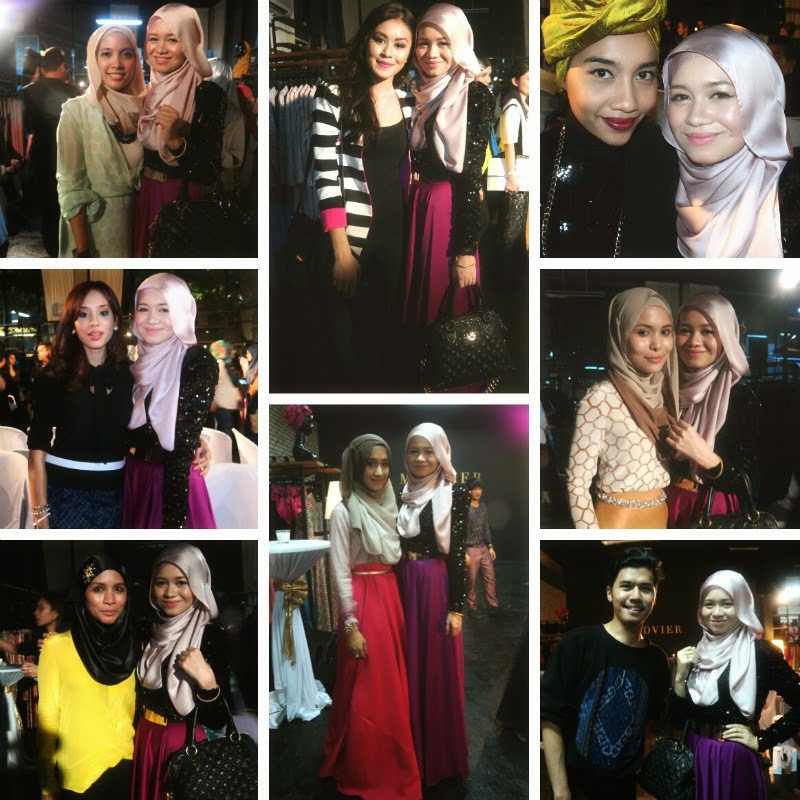 Nurul Zulkifli, Annie Aris, Rohana, Yaya Zahir, Elia Izzati, Yuna, Siti Safrina / Fiena and Rico Rinaldi. Want to know why the title of this post is 'To the Left?' Because I'm always on the left side of every single photo with others. It's too obvious in this post! Happy Dian with Hatta Dolmat, Ally Iskandar and wifey Farah Lee. History was created that day. 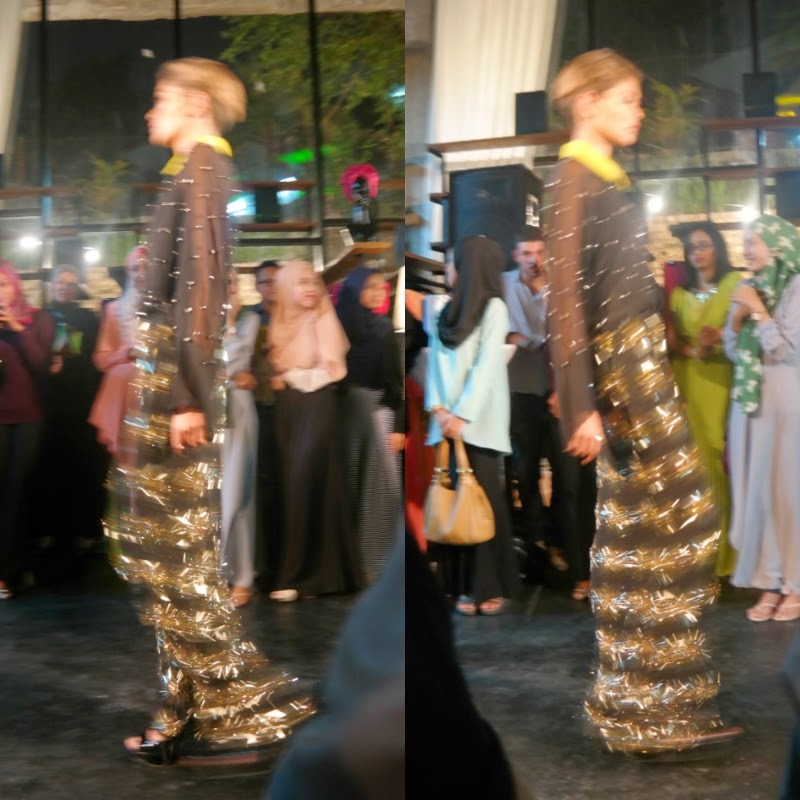 The first time ever she wore a long skirt with really high heels and the first time ever she accompanied me to a fashion event. You did great! Hehe. 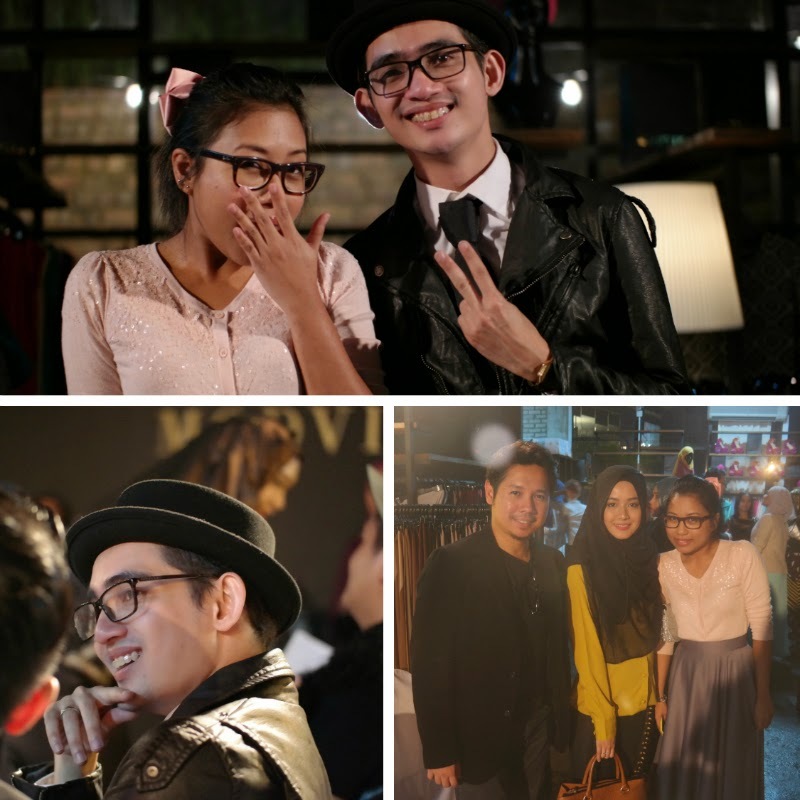 Here are some shots Hasanah and me captured before the event. All other photos in this post with me in it were taken by Dian! 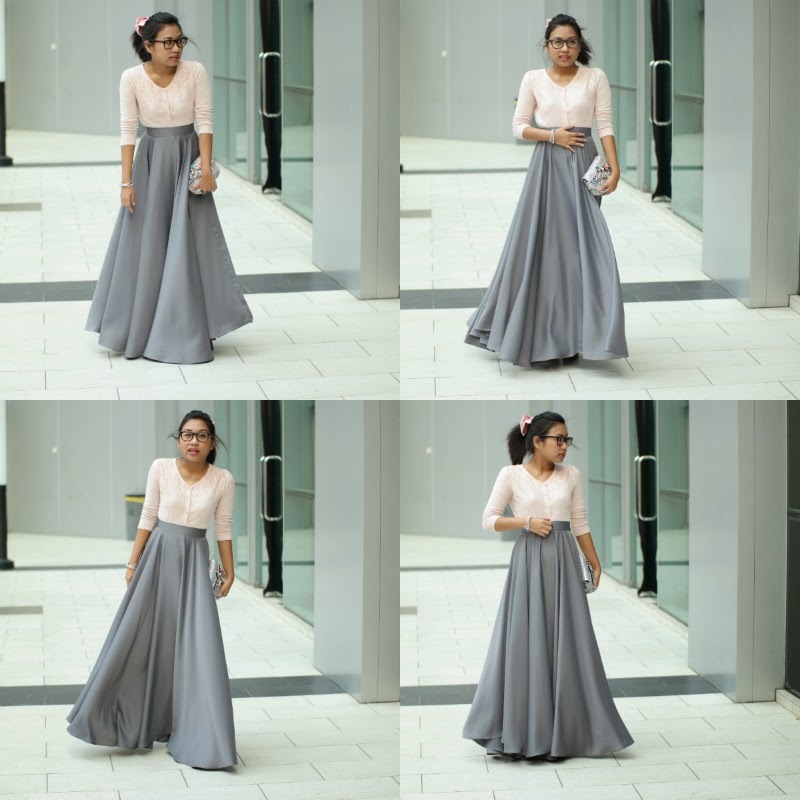 Dian wore Belle Grey . Thank you for accompanying me Dian. Thank you for being by my side throughout the event. 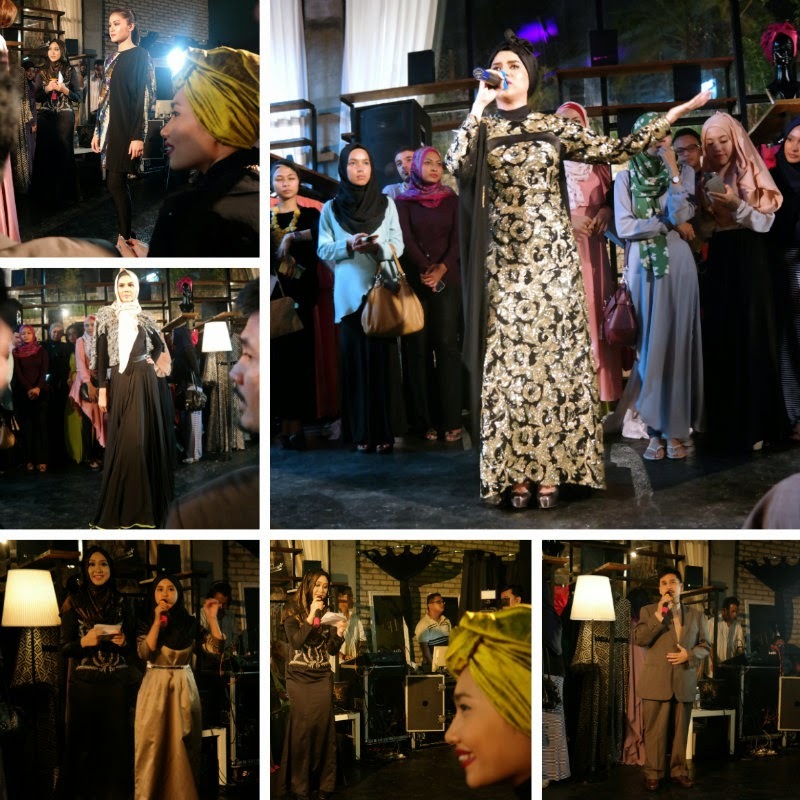 The founder of Modvier, Sarah Shah Nor, invited me to the event. Congratulations on the launch Sarah! May God grant you success in this life and the next. Amin.